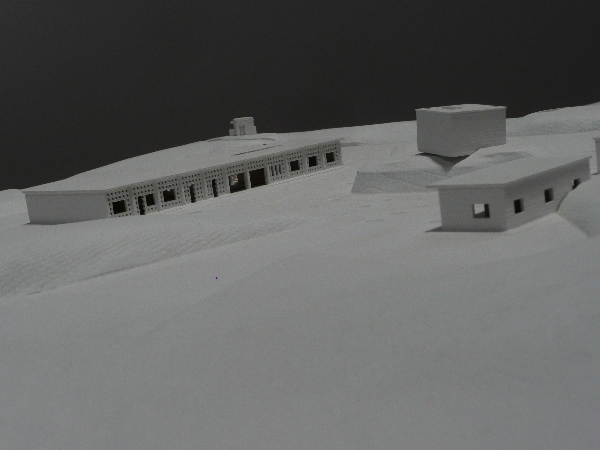 Decolonizing Architecture/Art Residency (DAAR,) are an art and architecture collective based in Palestine, whose work critically examines the role played by architecture in the occupation of the Palestinian territories. 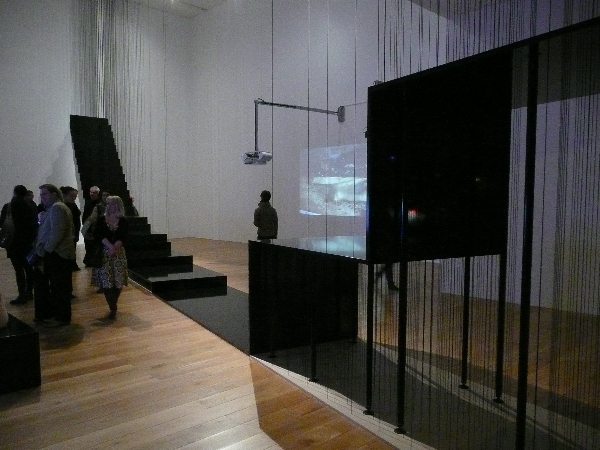 Tom Bennett visited 'Common Assembly' their current exhibition at Nottingham Contemporary. 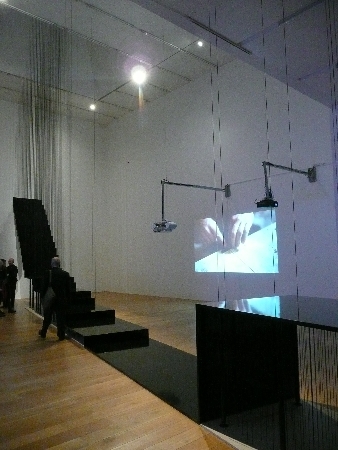 On the evening of 27th January 2012 I attended the opening night of DAAR’s ‘Common assembly’ exhibition at the Nottingham Contemporary Gallery, which is running in parallel with an exhibition of photographic works by artist Thomas Demand entitled ‘Model Studies’. Common Assembly represents collaborative work (within DAAR) by Eyal Weizman, professor of Spatial & Visual culture & Director of the centre of Research Architecture at Goldsmith’s College, and describes & interrogates the physical phenomena & anomalies of Israel’s unilaterally declared border with Jersusalem. Decolonizing Architecture/Art Residency (DAAR) are an activist, art and architecture collective based in Beit Sahour, Palestine. Their exhibition examines some of the uncanny and disturbing ways in which Israel’s on-going military occupation has impacted upon the built configuration of Palestine today. The exhibition was introduced by Alex Farquharson, director of the Nottingham Contemporary, who gave a detailed explanation of various issues DAAR have addressed. The opening was well-attended and was followed by a day of talks and workshops on 28th January. Common Assembly is a multi-facetted project which addresses numerous issues and situations through various studies and media. 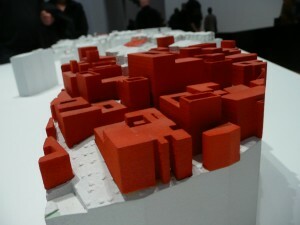 DAAR offer a critical examination of the geospatial situation in the West Bank and make some harrowing observations. The exhibition highlights the issue of myriad boarders which divide-up the West Bank into land parcels controlled by Israel or the Palestinian Authority. DAAR have focussed on a lesser-known boundary, between land under Israeli military control and land under Palestinian military control. This border, dubbed ‘the lawless line’ is a ‘legal grey area’ that manifests itself as a thin strip in the physical world. 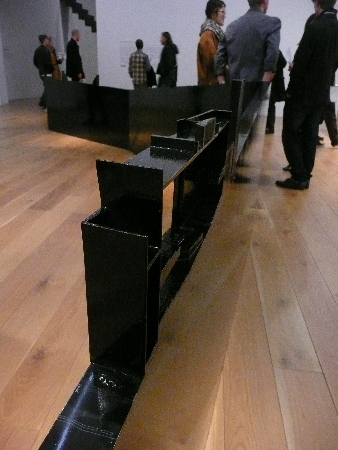 A fence-like model representing the lawless line divides up the gallery space similarly, and illustrates how the line cuts through numerous Palestinian buildings, including a school, mosque and sports stadium. This is indicative of a reckless, almost arbitrary colonial thinking which pays no heed to the configuration of existing urban fabric, bisecting communities and the infrastructure they rely on. 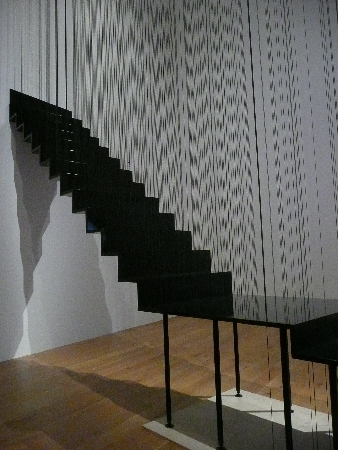 The focal point of the exhibition is a large suspended staircase, representing a section at 1:1 scale where the lawless line cuts straight through the derelict Palestinian parliament building in Jerusalem (started in 1996 in the wake of the Oslo accords but abandoned in 2003). 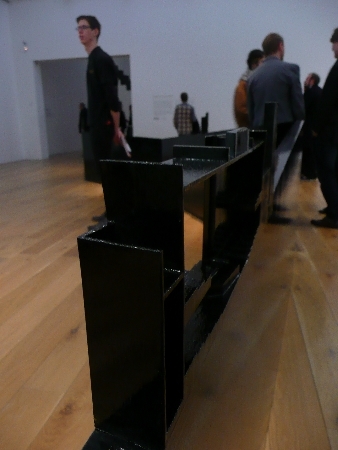 Being partly on Israeli territory and partly on Palestinian territory, the legal status of this building is complex, and the installation representing the thickness of the border can be considered a no-man’s land. The exhibition is undoubtedly speculative in nature, proposing a number of creative strategies for the adaptive-reuse of Israel’s architecture of oppression. One of the many exhibits that caught my attention, draws inspiration from the fact that this part of the Middle East is an important migratory route for birds the world over. DAAR’s proposal involved re-appropriating the Israeli military base ‘Oush Grab’ and integrating it into habitats for these migratory birds. 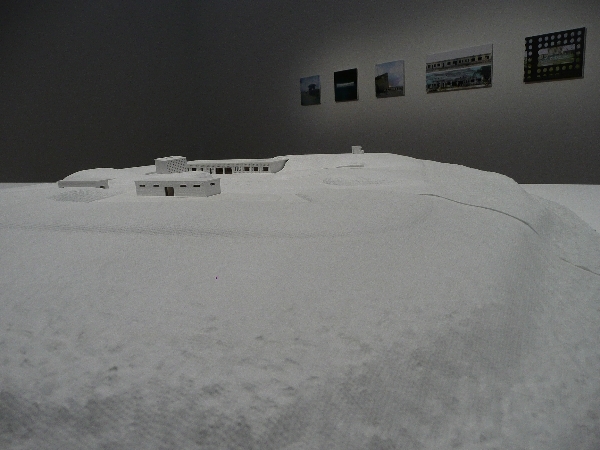 Other exhibits comprise model-studies which consider various strategies for the adoption of Israeli hill-top settlements. It is encouraging to see an exhibition heavy with serious, pertinent political content receive such a prominent and prestigious platform within the public cultural sphere. 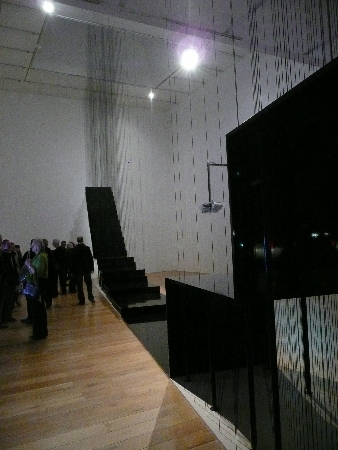 The subject is clearly sombre and complex but DAAR have approached it in an optimistic and speculative manner. Common Assembly is dense in terms of information and rich in analysis, demanding more than a cursory walk-though from the visitor. By envisioning the decolonisation of Palestinian land, DAAR invite us to reflect upon the present reality and speculate upon an uncertain future. If you find yourself in the Nottingham area, a visit to Common Assembly will certainly be an interesting and thought-provoking one. Common Assembly will run until 28th April 2012. “Arenas of Speculation”, a talk by Prof Eyal Weizman, will take place at 5pm on Wed, 29th Feb, 2012 at Nottingham Contemporary (hosted by the University of Nottingham Architects Lectures Society). Tom Bennett, a writer and activist, is a postgraduate student of architecture at the University of Nottingham.